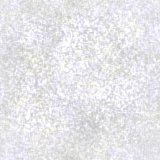 The family in Kingham most assuredly deserve their own page in this website. The family is fairly well documented, have a long history in the Kingham area, and of course are famous for their farm machinery company. Below you will find a snapshot of the available data on the family, and on this page you can see the modern-day story of one of their farm machines which is still being shown in steam rallies around the UK. 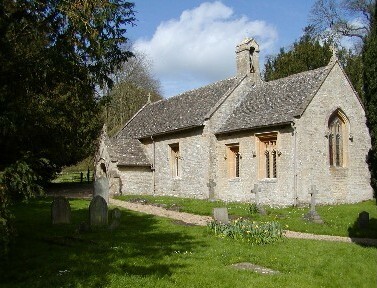 Cornwell, on the very northern edge of the boundary between Oxfordshire and Gloucestershire, sits to the north-west of Chipping Norton and close to due north of Kingham. Parish records began in Cornwell in 1662. Cornwell registers show that John LAINCHBURY had married Mary Ann HATHAWAY in 1832 and they proceeded to have 7 known children. Elija 4 all Village Scholars and all born Cornwell. living in New Street, Chipping Norton. Edith was later to attend the British School, also in New Street, Chipping Norton, and there she embroidered a 'cross-stitch sampler' which was recently found for sale. To read more about this, and see a picture of it, go to this page. And even better, here are John and Caleb, living next door to one another (or possibly across the road?) in Cornwell. These entries are particularly exciting as we can see John's occupation. 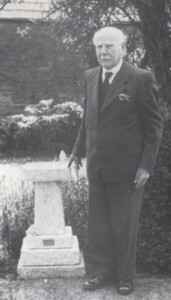 Ernest John LAINCHBURY Snr on his 90th birthday, 10 May 1958, with the birdbath given to him by his employees. It is unsure whether the William above was a forebear to the more recent Kingham family, as no link can be found between him and the William below, but it is listed here as a likelihood. 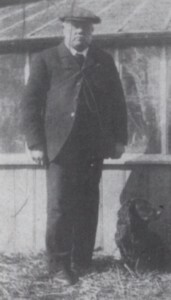 Michael John LAINCHBURY who went to South Africa in 1948. Sibling to Ernest John Jnr was Charles Edward, born 1901, who married Florence Annie CHURCH of Banbury in 1926, and it is their son, David, who has so kindly provided me with the photos and almost all the data for this page. I am deeply honoured to be given the opportunity to bring this family story to the web. And let us not forget the third sibling, Arthur William, born 1903, who married Emily I PETTIPHER of Long Compton in 1929.